Just a few questions Guillermo Rauch and LearnBoost want to put an end to with codestre.am. 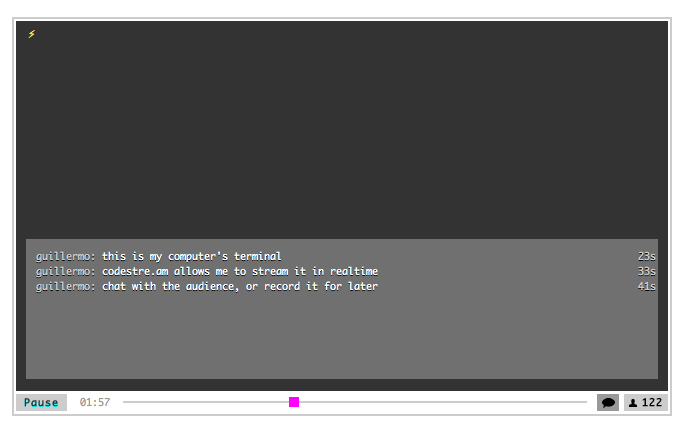 Just install via NPM and you can instantly stream or record your terminal. Live coding will never be the same.